I apologize for the lack of a blog posts from me over the past few weeks. Unfortunately, I managed to nearly kill myself a week before Thanksgiving during a hockey tournament. In the midst of an intense match between the Claremont Centaurs (our team) and UC Santa Barbara, I went to finish a shoulder check on a Santa Barbara forward, whose impact with the boards caused a faulty door latch to come loose on the players’ bench. As a result, I went chest-first into the stanchion that the gate normally latches to at full speed, ending up with a rib contusion, a few broken ribs, and a partially ruptured lung. I’m not going to lie, it was pretty painful, but hey, hockey is a rough sport! After a hospital stay too long for my liking and a few missed days of class, I found myself back at Mudd, disoriented and unsure as to how I was going to make up for all of this lost time as the semester sprinted towards its end. I had trouble breathing, walking around, writing, typing, and sitting, and on top of all of that I was behind on my work as well as on group projects I am a part of. I was in between a rock and a hard place, to say the least. The movie Lilo & Stitch, an instant Disney classic, is filled with lovably quirky tiny aliens, good ol’ fashioned Hawaiian roller coaster rides, and plenty of Elvis references. The real reason that this movie stole the hearts of audiences around the globe, however, is its message. This message is one that I was reminded of over the past few weeks here through the actions of the students, faculty, and staff who have helped me pick myself up. I cannot count the times on my fingers and toes, nor in my head, that fellow students, whether close friends or concerned peers, lent me notes that I had missed or worked with me to grasp concepts that I was not in class to learn about. My teammates on group assignments were unbelievably flexible in scheduling group meetings and allowing me time to finish my share when I could. My professors were overwhelmingly supportive in granting me extensions I needed, even when I was too proud to ask for them. This is because they cared enough to stop me each and every day and ask how I was doing, and to let me know that they knew I was doing all I could and that I needn’t worry more than that. My fellow supervisors at the LAC handled the extra load left in my absence, and my fellow employees offered to cover all the shifts I needed to be covered. The Admissions Office staff refused to allow me to work when I showed up for my office hours, and told me that they wanted me to go back to my room and sleep and only come back when I really had time do so. The amount of love I have felt from my Mudd family over the past month of dealing with this injury and multiple visits back and forth between here, my home, and the hospital has been unbelievable. I honestly don’t know how I would have made it to this point without them, much less be prepared for the coming week of finals. All I can say is that I am indebted to my Mudd family, but being that they’re my family, I know it’s a debt they will never try to cash in. Knowing that just makes me more grateful, and more motivated to give back as much as I can to this community that has given me so much over the past two and a half years. I can’t wait for these next three semesters, but am sad that the amount of time I have left here is less than that of the time I’ve already had fly by. With that, I won’t bother you all with my sappy words any more, however, I would like to share some pictures of my shenanigans and exploits since the last time I posted, featuring lots of my aforementioned Mudd family!  When I first came to Mudd, I was humbled intellectually by my peers, who are all incredibly gifted in their differing fields but shared passions for mathematics, science, and engineering. After being at Mudd for awhile, I was humbled by the kindness, acceptance, and support I found all around me. After all of this, I find myself completely floored. I don’t know what I did to deserve a family as supportive, caring, and, well, quirky, as this one, but I wouldn’t give up being a part of it for anything. Well, I hope you all have enjoyed my blogs thus far this year. Congratulations to the Early Decision 1 group that were accepted to Mudd; I’m looking forward to meeting you! I will be back next semester in 2014, and am looking forward to it. Until then, I’ll be enjoying a sunny SoCal Christmas, so look out for my updates on the HMC Admission Facebook page and the HMC Admission Twitter page!